When you are injured on-the-job in Florida – as thousands of workers are – you most likely will be entitled to compensation for medical bills, a portion of lost wages, retraining and perhaps a lump sum disability payout from your workers’ compensation insurer. The good thing about workers’ compensation is that it is part of a no-fault system, meaning you don’t have to prove your employer did anything wrong or that you did not. Instead, one need only prove the injury occurred in the course of and arose from the scope of one’s employment. The trade-off is: It doesn’t cover everything. The exclusive remedy provision of workers’ compensation law stipulates it’s your only recourse against an employer. If you are left seriously injured or permanently disabled, it’s important to discuss with a South Florida injury attorney whether any third parties were negligent and, if so, whether they could be held liable to pay additional compensation. Construction workers, who tend to have a higher-than-average rate of injury, often have grounds for third-party liability claims because frequently, there are many different entities involved with various responsibilities pertaining to safety. If your co-worker makes a mistake that results in your injury, you probably won’t have grounds to pursue anything additional there. However, if a property owner, general contractor, subcontractor, tool manufacturer or some other party fails in exercising a duty of care owed to workers on site, you might have a third-party claim. Also, if your employer did NOT have workers’ compensation insurance as required by law, you should be able to pursue an injury lawsuit against them as well. One such claim in California (which has a similar exclusive remedy provision of workers’ compensation, but allows for third-party liability) was recently resolved with an appellate court affirming a verdict in excess of $7 million in favor of an employee seriously injured by an arc flash while working with a live circuit breaker. His damage award was reduced 9 percent in proportion to his own purported fault. The appellate court did reverse and remand on the issue of how the damages were apportioned between the defendants, which included a contractor and the owner of the cogeneration plant where the accident happened. (Plaintiff’s own employer was deemed not liable.) Trial court rejected defense’s post-trial motion for judgment notwithstanding verdict, but did find the jury improperly apportioned the damages among the defendants. The appellate court affirmed, finding the jury had ample evidence to support its finding that the building owner negligently exercised control over the safety conditions of the job site, but that the apportionment of damages did require reconsideration. 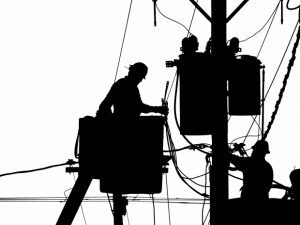 In a somewhat similar case out of Florida wherein plaintiffs sought compensation in addition to workers’ compensation, the family of an electrician’s apprentice for an energy company who died in 2015 while testing transformers at a Reddick substation. An investigation by the Occupational Safety and Health Administration (OSHA) resulted in $90,000 in proposed fines (later reduced to $35,000 via settlement) for numerous willful and serious violations. Exclusive remedy of workers’ compensation prohibits claims of negligence against an employer for work injuries, except in the very limited situation presented in F.S. 440.11, which holds in the case of a worker who dies, the estate can sue if they can prove both employer had intentionally dangerous protocol AND the worker was ignorant of the risk. Unfortunately, our Fort Lauderdale injury attorneys are unaware of any case in Florida that has thusfar been successful with this type of claim, and this one sadly was no different. This is why third-party liability claims following a work injury are usually your best bet.